I’m not usually interested in newer cars because I don’t like where the design is headed. I feel like the newer cars are over done and are moving towards a culture that makes them disposable. Companies are trying really hard to get the buyers attention and I feel sometimes the neglet the car ownership experience. There is so much to look at when looking at newer cars; various aerodynamic lines, grilles, huge 19inch+ wheel sizes and lots of plastics. Of course I am biased because I own a 1975 Datsun which featured 80+ lb chrome bumper and an all metal body. 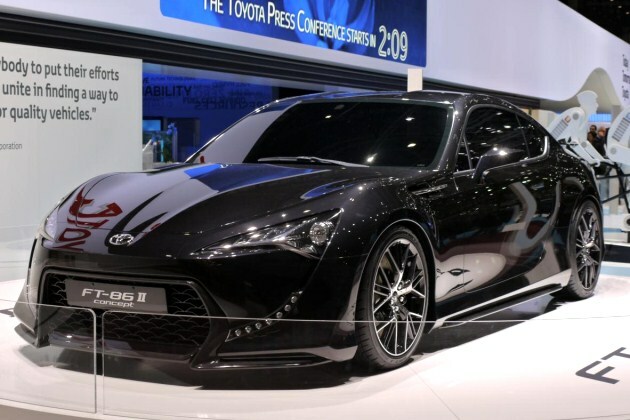 However, for 2012 Toyota is doing something that has really caught my attention. In 1987, Toyota ceased the production of the rear wheel-drive Corollas. The 1984-1987 Toyota Corolla GT-S was a car that performed very well for its price and provided great technology that worked synchronous in an effective package. It excelled in competition and is a coveted car for competitive driving even today. In 2012 Toyota has brought back this idea and has created a car that is packed with performance in an affordable package. The creation of this car has been ongoing since it was introduced as a concept in 2009. Toyota has been taking their time making sure that the car is worthy of fitting the early Corolla’s legacy. They even teamed up with Subaru and are releasing 3 different versions of the car to make the best impact on the younger and enthusiast market. I’m really excited to see how this car performs and when they are released I’m definitely going to take a ride to the dealer to “test” one out. Please feel free to comment or ask any questions about my post. ← Hello there, I’m Jeremy. Let’s hear about the Datsun…. I love the older Nissans! @Ben, I have a post about it coming in the very near future. The whole story and its mods. Stay tuned!